Granny's Cookies | 101 things to do with kids! 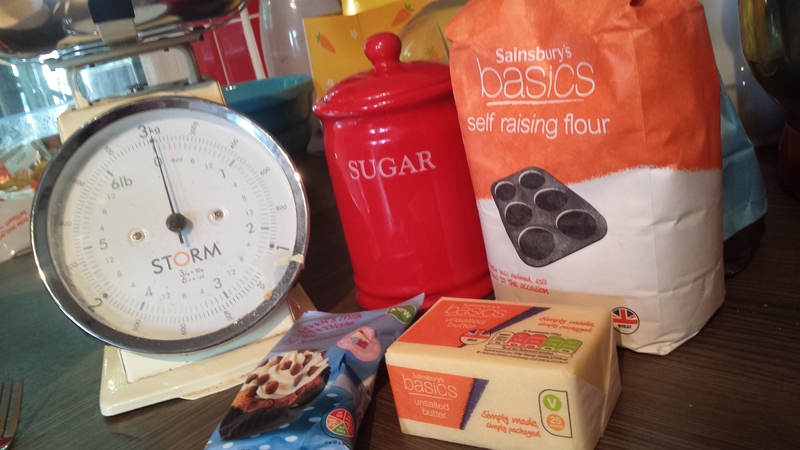 At the moment we are experimenting a lot with cookie recipes to try and work out my granny’s recipe. 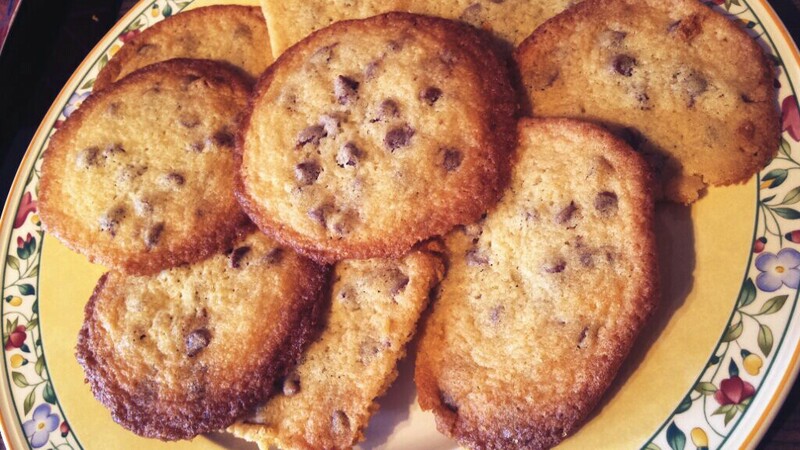 So today we have been baking chocolate chip cookies. For my sweet-toothed little munchkins this is a great activity. Although it doesn’t happen fast enough as they literally cannot wait to eat the fruits to their labour. and a small packet of chocolate drops. Cover two baking trays with greaseproof paper and then grease with some butter/spread. 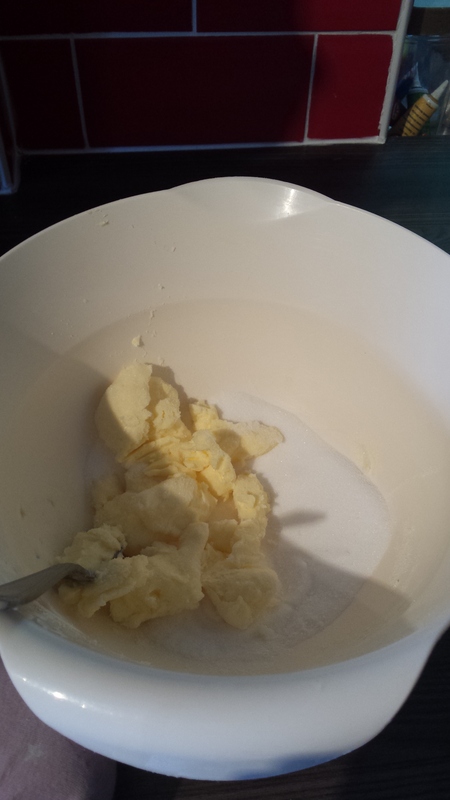 First of all we creamed together the butter and sugar, then we added the flour and egg and stirred it up. Finally when we had a fairly thick cookie dough we added the chocolate chips. 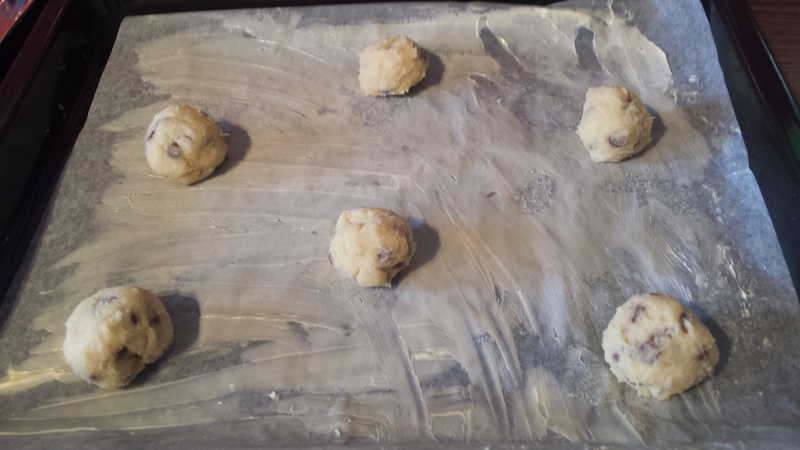 Then we rolled the cookie dough up into small balls and placed them on the baking tray. 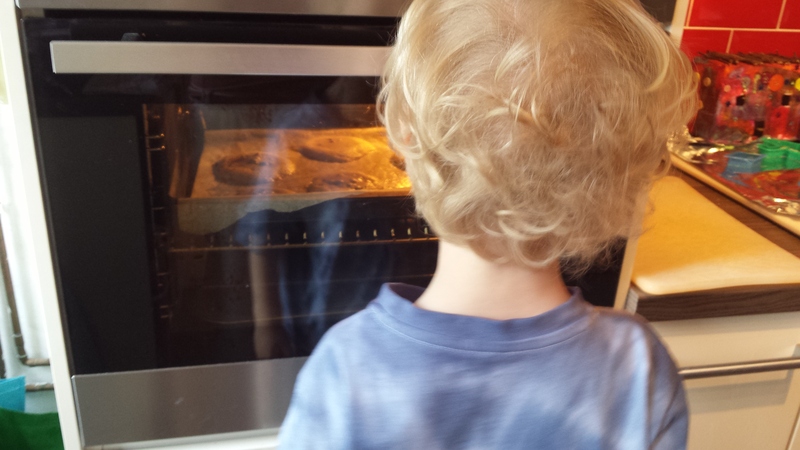 Mummy put the trays in the oven – one at a time and baked for approx 10 minutes or until they are fairly golden brown. Take out of the oven and cool before transferring to a cooling rack. When they have cooled down it’s time for the taste test! hurry up and cool down! 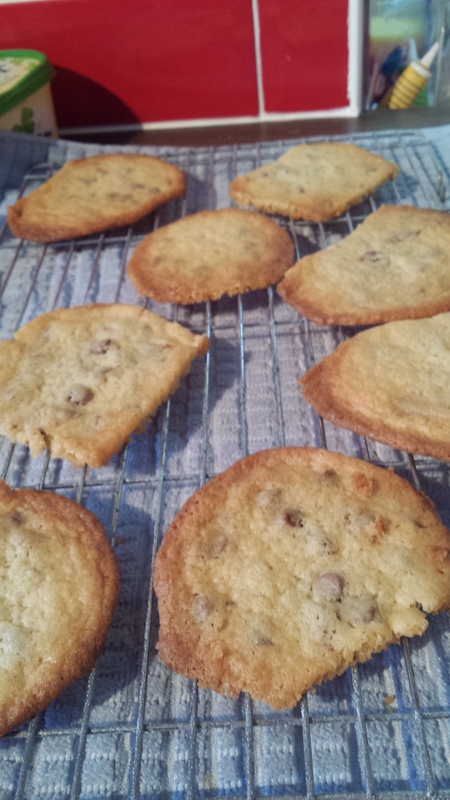 Verdict: This recipe made fairly flat, crunchy cookies. I think it was practically granny’s recipe.